The Everything’s Happening Head Covering is perfect for those days when you just need to slip something on and get moving! This set gives you three gorgeous color options for only $23 – a major chance to save since each is usually $10! It’s worn as easily as a hat, is perfectly light and breathable, yet offers enough shine and class so you don’t look sloppy. 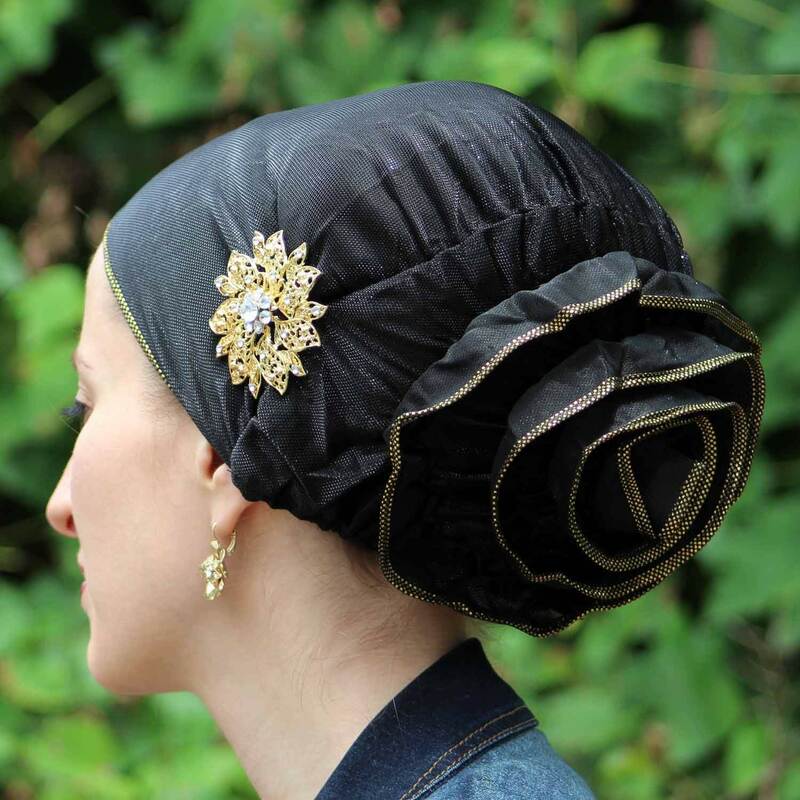 Even better, try pairing it with a fabulous headband or pin like our model Andrea, to achieve a beautifully elegant look. Don’t worry- we won’t tell! I have purchased these and am so happy that I did. They are a very good quality and comfortable to wear. The plan for this little gem is to slap it on and run, and it fulfills that purpose beautifully, but that’s just the BEGINNING. Yes you can stick a pin on it and it’s pretty, too. However, if you have a few moments try tying on a sash or a 2in1 or another scarf and let those delicious ruffles show from the rear and you have something truly UNIQUE!